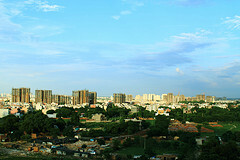 Plot owners have been battling for owning a plot in Gurgaon for a quite long time. They hoped that their battle would get over as HUDA had been expected to announce the plot allotment. 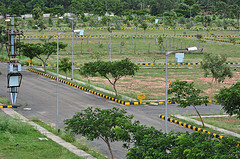 HUDA’s decision to postpone the plot allotment affects the plot owners. Many plot owners felt highly disappointed as the HUDA postponed the draw. Further leaving them to greater frustration the Authority is yet to announce the date when they will announce the fresh draw. As the date for the fresh draw is not announced the owners are all the more frustrated. This was clear from the faces of each of them. One of them commented that he was really shattered and felt lost when he heard the news. However the draw was cancelled due to the Punjab and Haryana High Court order. Hearing the petition of a land owner who was not included in the list, the Punjab and Haryana HC stayed the allotment order. The petitioner; who claimed eligibility to be included in the plot owners’ list, blamed HUDA for dropping his name from the list. Another disputed plot owner told that the mistake is with HUDA. In his opinion the Authority had to deal the matter before the case was brought to the HC. Now HUDA cannot do anything till the HC takes final decision on the matter. It means that the allotment or draw will take place only after the Court takes the decision. A HUDA official said that HUDA’s main idea was to allot the plots which are legally cleared. The Authority was expecting to allow the owners to start the construction in their sites after the allotment. This entry was posted in Real Estate News and tagged Gurgaon, Gurgaon real estate, Haryana Urban Development Authority, HUDA, plot allotment, Punjab and Haryana High Court by designer. Bookmark the permalink.